Training is a key process at Sanmina. Training programs at Sanmina facilities are designed to create a skilled and responsible workforce, able to meet and exceed the customer requirements and expectations, across all activities. Training is developed at all levels of the organization with the objective of providing and maintaining the technical vitality of personnel and promoting a world class quality culture focused on error prevention. 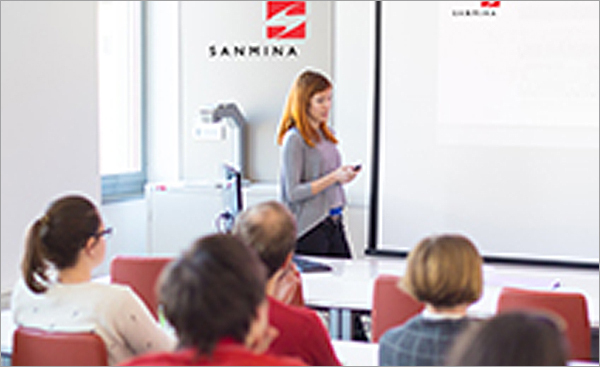 Training and certification at Sanmina are accomplished both via classroom lecture as well as on-the-job training. Effectiveness of the training is measured via testing and demonstration of acquired skills. OLE is the on-line education tool employed at Sanmina. A large variety of training modules are available for all plants and support functions. Pilgrim is a system our plants use to track training status of all employees and it is integrated with the OLE training tool, for efficient retraining and recertification activities. One of the key features developed at Sanmina is Employee Validation: the training record of an employee is tied to the SFDC location where the employee is required to work – the employee will be allowed to log into the respective station only if the required training had been completed.